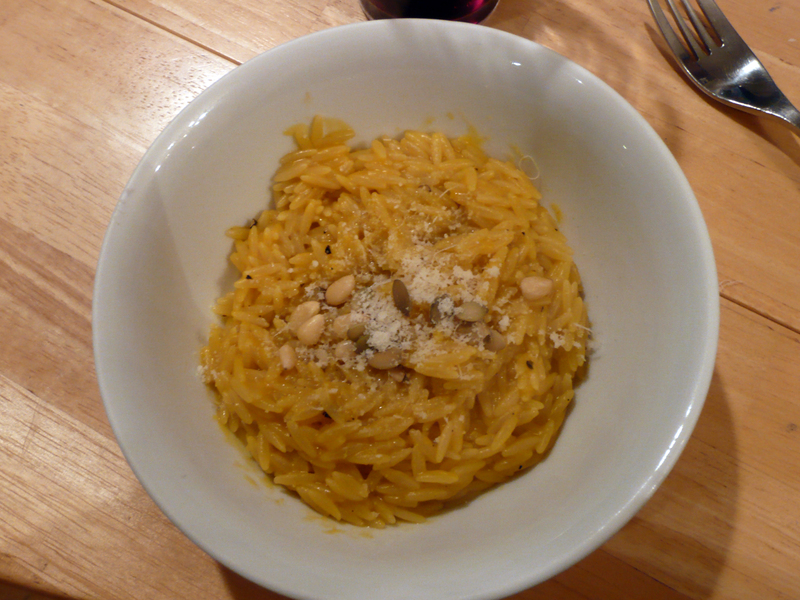 You either love or hate Orzo Risotto, I love it! First come first serve. Rule of the house! Truffle always makes things better. Yes I was cheating , but it was great! I wanted to start with a creamy risotto to get everyone going before the big feast. 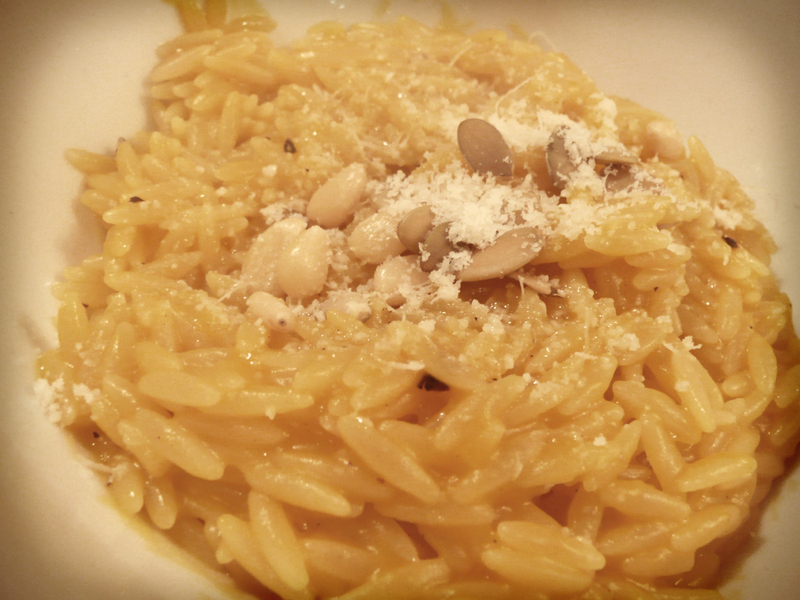 To mix it up, I made an Orzo risotto, one of my favorites. You can’t beat the versatility of risotto. Then back to tradition (or someone’s tradition) with stuffing and meat. 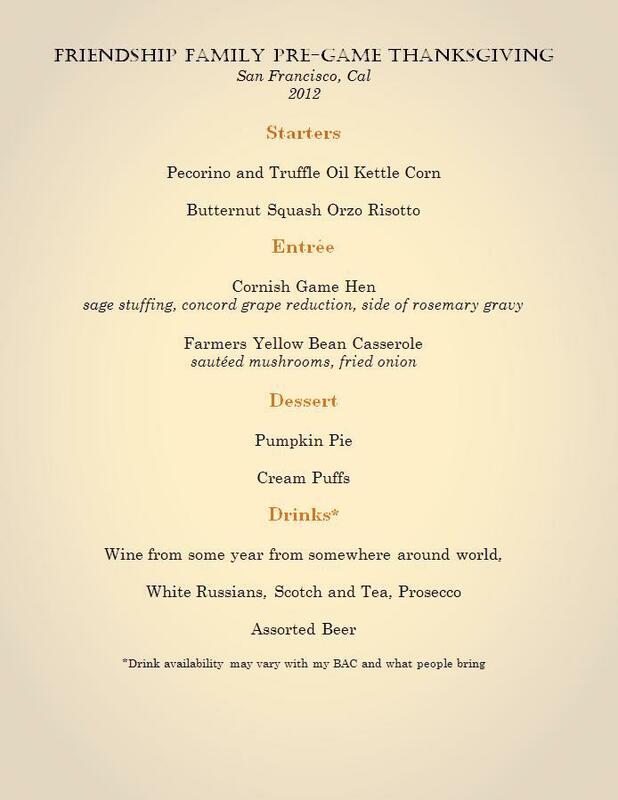 Yes, no turkey. Can’t be bothered with turkey. 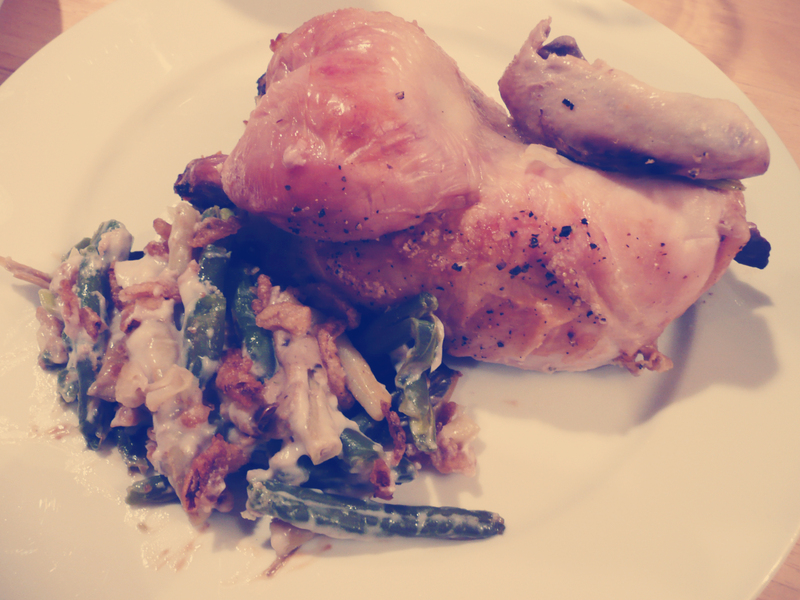 But a cornish hen was perfect for everyone! I hope my portobello mushroom substitute was good enough for the vegetarians. But really, green (and yellow) casserole was divine as usual. Happy holidays everyone! This is definitely a time to enjoy cooking and eating with your friends and family. And yes, it beats and restaurant or bar! I would also like to thank the Smiley Family for having me over for Thanksgiving. You guys are great and I am so thankful to have you all as friends. 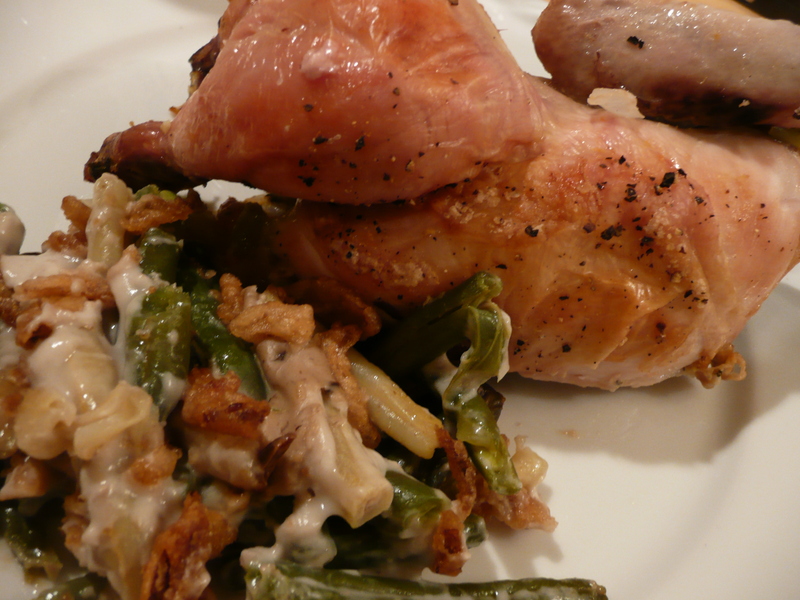 This entry was posted on November 25, 2012 by rrfoods in Chicken, Dinner, Pasta and tagged butternut squash, casserole, chicken, christmas, cornish hen, Dinner, green bean, holiday, orzo, risotto, rosemary, sage, stuffing, thanksgiving.